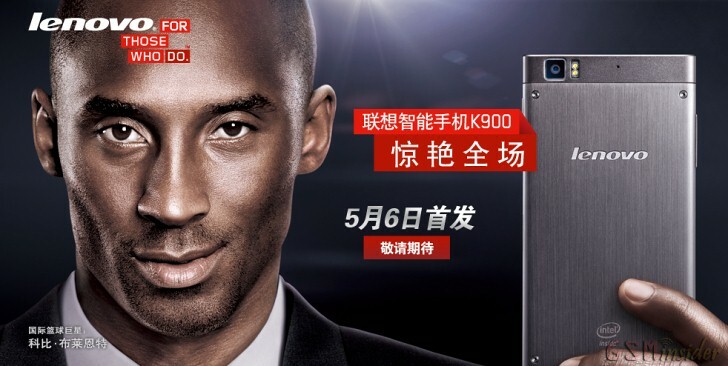 Lenovo’s flagship smartphone, the K900 has been recently confirmed to arrive in China on May 6. Also known as “king of the benchmarks,” due to the fact that it topped Samsung’s Galaxy S 4, Lenovo K900 is likely to be the most powerful Android smartphone in China. According to GSMInsider, the smartphone will ship with Android 4.2 Jelly Bean operating system out of the box and a powerful 2GHz quad-core Intel Clover Trail processor. Furthermore, the K900 embeds 2GB of RAM and sports a stunning 5.5-inch full HD capacitive touchscreen display that supports 1920 x 1080 pixels resolution. On the back, Lenovo IdeaPhone K900 boasts an impressive 13-megapixel rear photo snapper, which features Sony Exmor RS lens, autofocus, LED flash and full HD (1080p) video recording. Unfortunately, there’s no telling whether or not Lenovo will release the K900 outside China. Stay tuned for more updates on the matter.